The Rakesh Mohan Committee in its report in 2001 said that Railways' financial situation was extremely difficult and suggested new strategy for revenue generation. Asserting that Railways has been in "deep trouble" for last more than two decades, Union Railway minister Suresh Prabhu on Friday said efforts are on to take the public transporter "out of the ICU" and stabilise it. He also said a regulatory framework is being set up to decide passenger and cargo fare structure. "The Railways was in deep trouble not now but for the last 20-30 years. That is what the report of the Rakesh Mohan committee dealing with financial aspects of the sector has said. So, now we are trying to create a situation where the Railways will be able to breathe well," he told PTI. Asked whether the national transporter is still in the ICU, he said, "We are trying to take it out of the ICU." Outlining the measures taken by the government to make Railways robust, Prabhu said, "In order to survive, it needs to revamp its operation. We are working on it. We are making it sure that the Railways will be an engine of growth in the next few years. We are putting all our efforts into it." Asked about the Railways' strategy since loadings are falling, he said a capacity to handle 1.2 billion tons of cargo will be created in the coming years. "Freight (traffic) falling is not in our hands, it depends on the growth of the core sector. When core sector grows freight will also grow. But we are ready to handle 1.2 billion tons of cargo. In the Railways' history for the first time, we have created such a handling capacity ahead of its demand. So now cargo has to come," he said. 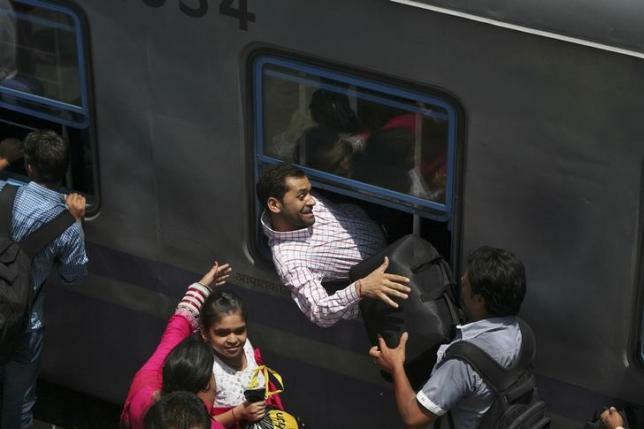 Asked whether the Railways is considering hiking passenger fare since the freight is not picking up and passengers growth rate is also not high, Prabhu said the regulatory authority will decide on it. "We are setting up a regulatory framework for fare decision. The regulator will decide what should be the fare," he said.